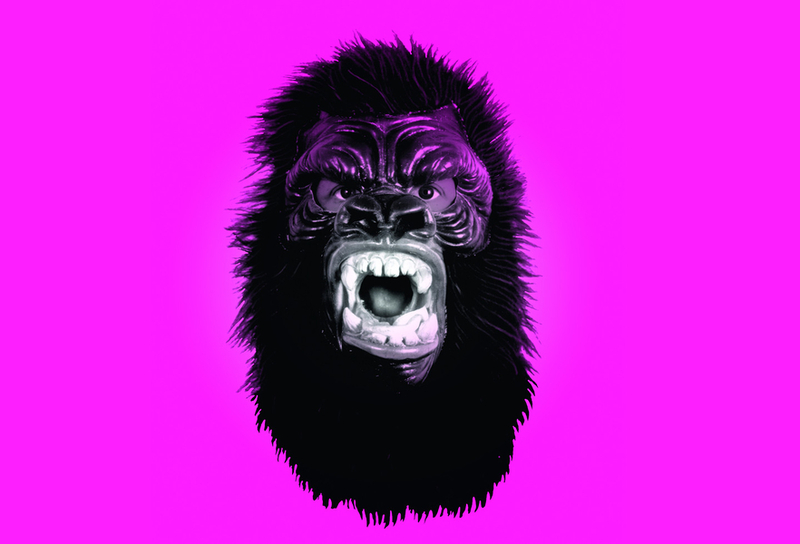 Verge Center for the Arts is pleased to bring Not Ready to Make Nice: Guerrilla Girls in the Artworld and Beyond, curated by Neysa Page-Lieberman, to Sacramento. This exhibition is a major presentation of the collective, which illuminates and contextualizes the important past and ongoing work of these highly original, provocative and influential artists who champion feminism and social change. A selection of the group’s most iconic campaigns and actions from the 80’s and 90’s foregrounds their most daring and rarely seen international projects, which trace the Guerrilla Girls’ artistic and activist influence around the globe. The exhibition’s installations are punctuated by documentary material including ephemera from famous actions, behind-the- scenes photos and secret anecdotes that reveal the Guerrilla Girls’ process and the events that drive their incisive institutional interventions. Visitors can peruse the artists’ favorite “love letters and hate mail,” drawn from almost three decades of humorous, heart-warming and shocking communications, and are invited to contribute their own views to an interactive wall installation. This multimedia, expansive exhibition illustrates that the work of the anonymous, feminist-activist Guerrilla Girls is as vital and revolutionary as ever. Neysa Page-Lieberman is a contemporary art curator, lecturer, writer, and educator with a focus on feminism, African diaspora, social practice, and public art. She is executive director of the Department of Exhibitions and Performance Spaces at Columbia College Chicago and the director and chief curator of the Wabash Arts Corridor, a public art project in downtown Chicago. She also designed and teaches Columbia’s first course on curatorial theory and practice and lectures at the Art Institute of Chicago offering public programs on the Museum’s collections. Page-Lieberman has produced over 200 exhibitions, with recent highlights including Revolution at Point Zero: Feminist Social Practice (2017); Vacancy: Urban Interruption and (Re)generation (2015), an affiliate exhibition of the inaugural Chicago Architecture Biennial; Not Ready to Make Nice: Guerrilla Girls in the Artworld and Beyond, which is touring nationally through 2018; and RISK: Empathy, Art and Social Practice (2014). A lecture will accompany the exhibition in partnership with Sacramento State’s UNIQUE program on Thursday, October 5 at 7:30pm. This event will feature Guerrilla Girl, Kathe Kolwitz in person. Attendance to this event is free and open to the public so get there early to reserve your seat! This show is made possible through the generous support of Burnett and Mimi Miller as well as all of you who donated to our online campaign. THANK YOU to everyone who helped bring this show to Sacramento and be sure to come to the opening to collect your Guerrilla Girls swag! The Guerrilla Girls are feminist activist artists. Over 55 people have been members over the years, some for weeks, some for decades. Our anonymity keeps the focus on the issues, and away from who we might be. We wear gorilla masks in public and use facts, humor and outrageous visuals to expose gender and ethnic bias as well as corruption in politics, art, film, and pop culture. We undermine the idea of a mainstream narrative by revealing the understory, the subtext, the overlooked, and the downright unfair. We believe in an intersectional feminism that fights discrimination and supports human rights for all people and all genders. We have done over 100 street projects, posters and stickers all over the world, including New York, Los Angeles, Minneapolis, Mexico City, Istanbul, London, Bilbao, Rotterdam, and Shanghai, to name just a few. We also do projects and exhibitions at museums, attacking them for their bad behavior and discriminatory practices right on their own walls, including our 2015 stealth projection about income inequality and the super rich hijacking art on the façade of the Whitney Museum in New York. Our retrospectives in Bilbao and Madrid, Guerrilla Girls 1985-2015, and our US traveling exhibition exhibition, Guerrilla Girls: Not Ready To Make Nice, have attracted attracted thousands. We could be anyone. We are everywhere. What’s next? More creative complaining!! New projects in London, Paris, Cologne, and more!